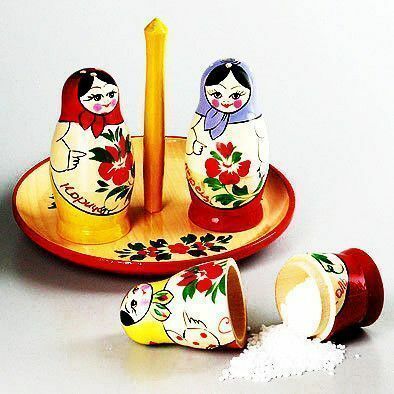 This nesting doll spice set is an autherntic Russian Matryoshka crafted from birch wood and hand-painted in traditional Russian Nesting Doll design. 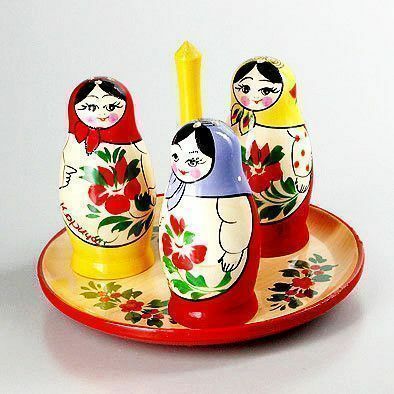 This set makes a great gift, or a unique piece of home decor. hand-crafted in Russia.